- Material: durable carbon steel and PVC plastic. 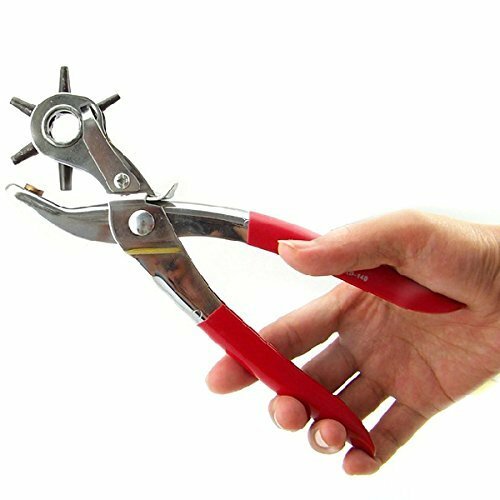 - 100% brand new and high quality 6-in-1 Hole-punching Forceps Pliers Hole Punch Tool. - Punch holes, fix snaps and add eyelets in seconds (eyelets inclusive). - Effortlessly punch holes in the thickest leather to the most delicate fabrics. - A simple way to make perfect holes in leather, paper, cardboard, and other soft materials. - Customize or mend bags and watch straps, belts, shoes, tops and jeans, outdoor gears, etc.